One of Stephanie Mai’s teammates presents “Bathing Beauteas” to competition judges. Last spring, two Communication undergraduate students participated on teams in the UW Foster School of Business Buerk Center for Entrepreneurship’s Business Plan Competition (BPC). The multi-round competition provides a space for innovative students to grow an idea into an actual new venture. Emily Majors, a Communication and Chinese Literature double major, competed on the “Scholarship Junkies” team – a nonprofit organization helping students in need of financial support to accomplish their college dreams. The team won the eBay Best Marketplace Idea Prize. 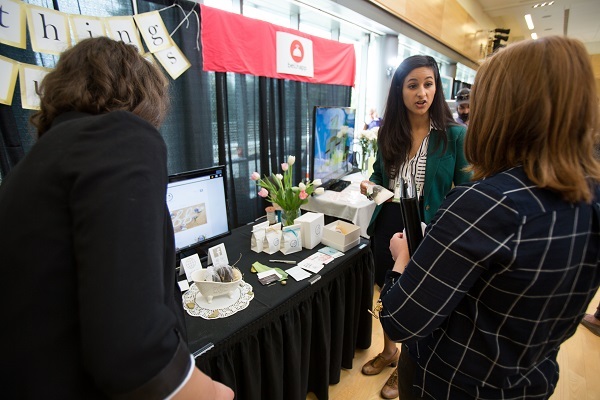 Stephanie Mai, a now graduated Comm major, presented “Bathing Beauteas” – a reinvented bath company for high-energy, high-impact women. Mai said she has known she wanted to be an entrepreneur since high school, valuing creativity and innovation with the desire to create a company that encompasses certain values and ethics. Both teams made it to the second round of the BPC as one of the top 36 of 93 participating teams. The Investment Round had more than 275 judges from the entrepreneurship community. 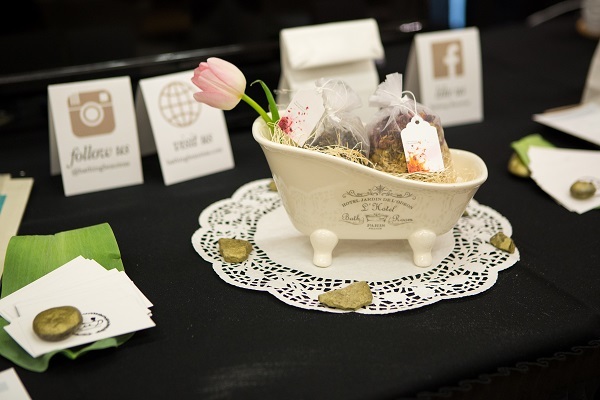 Although neither team was chosen to move on to the Sweet 16 Round, Mai said her team plans to continue the business and is in the process of creating partnerships with local Seattle boutiques to sell their tea baths.